Millennials Don't Want Faith? Nonsense! I've heard it many times before. "Christianity was for previous generations, but it's not for ours." People argue that faith is not relevant today. They argue that Christianity is for grandma and grandpa, but the times are changing. Christians hear these statements and look at the statistics and freak out. They fear the church is over because Millennials don't want to come to church anymore. You'd think those Christians have never read the end of the Bible. We know that the church is not going to die out, even if it does in America. But I also wonder if we are only gathering data from non-believing Millennials? Have we looked at this from the perspective of the believing, faithful, Millennials? I don't have all the data and I'm just thinking anecdotally, but I am still thinking about it. Here's something to think about. First, God is the same today as he has been since he created the world and will be forever. Second, what makes today's young people think they have grown beyond a faith that people have held onto for 2,000 years, that's built on a faith in God that's a few thousand years older than that? And third, while this argument about younger people may be the feeling elsewhere, I don't see that idea playing out to the extreme it is reported among the young people at the church I pastor, Redeeming Life Church in Salt Lake City. 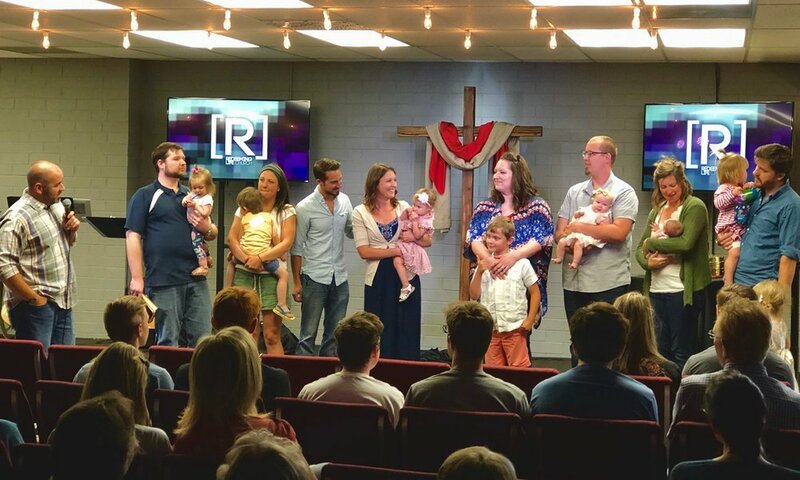 Recently, I was blessed to watch four young families dedicate themselves to raising their babies in the way of our Lord, Jesus Christ. Our faith-family agreed to walk this journey out with them and hold them accountable. This happened on a Sunday, in a worship service, in a church-ish building. Two Sundays before, I witnessed three people get baptized. One man in his 60's, one in his 20's, and a boy in single digits. Beside each of the people getting baptized, there were at least 2 people participating in conducting the baptism. None of those conducting the baptisms (except me serving as the master of ceremonies) were over 30. And upwards of 40% of the people at our worship services move to the children's ministry area (or are already there in the nursery) when I dismiss the kids and teachers after our time of musical worship but before I preach a sermon. We also have a thriving group of young adults gathering on Sunday and throughout the week. When I survey my faith-family at Redeeming Life Church, I see lots of younger people taking Jesus seriously. Many of them take Jesus VERY seriously. But Redeeming Life is not a hip, cool, church of all young people. We have people in their 30's, 40's, 50's, 60's, 70's, and 90's. In fact, we have a family of 5-generations worshiping with us, from Nana all the way down to her little toddling great-great-grandson. We're not that cool and certainly not hip. We are faithful. We worship God. And we take the Bible seriously--teaching through it and orientating our lives to it's teaching. I'm hopeful and encouraged that so many young people love Jesus at Redeeming Life Church. If not, I might be fooled into believing the lie that today's young people don't want Jesus or faith. Sure, there are many who don't know any better, but let's not broad-brush the Millennial generation. There are still many faithful, Millennial Christians. They want to know and learn the Bible. They want to serve Jesus. They are not ashamed of the gospel. It's encouraging. I am blessed to pastor them and enjoy life in our faith-family together.